Kulwinder Singh Gill, better known by his screen name, Guggu Gill is a popular Indian actor who is known for his works in the Punjabi film industry. Guggu made his acting debut in 1981 with a small role in Putt Jattan De and since then in an illustrious career spanning over two decades he has appeared in more than 70 films. The versatile actor has portrayed both villainous and hero roles with panache. For his outstanding contribution to Punjabi cinema, the actor was conferred with the Lifetime Achieved Award at the PTC Punjabi film awards in 2013. A resident of Mahni Khera village in Muktsar district, Punjab, Guggu comes from the renowned Gill family that is known for making super hit Punjabi films like Aankh Jattan di, Dil da mamla, Vidroh and Putt Jattan De. Guggu Gill has two sons, Guramrit Singh Gill who is the youngest Sarpanch (head of the village) in Punjab and Gurjot Sing Gill. Guggu Gill made his acting debut with a supporting role in the 1981 film Putt Jattan De starring the Bollywood stalwarts, Dharmendra, Shatrughan Sinha and Daljeet Kaur. 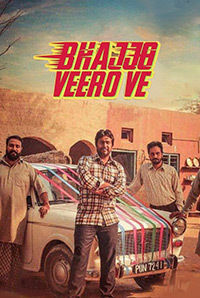 After his first film, the actor did not get any offers until he was signed by director Jagjit Gill for his Punjabi action film Gabhroo Punjab Da in 1986. This was the first time when he played the role of a villain and for his brilliant performance he won the Best Villain Award. The film was not only Guggu Gill’s shot to fame but also it paved way for him to get more film offers. The actor got more fame and recognition as he starred alongside accomplished actors like Raj Babbar, Dharmendra, and Gurdas Maan in the Punjabi action film, Qurbani Jatt Di (1990), which was well received at the box office. The following year the actor had quite a busy year as he had five releases but it as Badla Jatti Da, which was most popular among them all. It was the first of the many films in Guggu’s career, which marked his association with one of the most accomplished Punjabi actor’s, Yograj Singh. 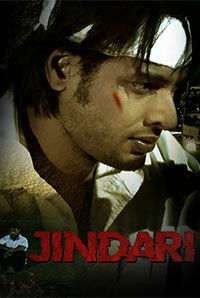 The film co-starring Upasana Singh was a blockbuster across Punjab and Guggu for his performance got wide appreciation from the critics. From 1992 to 1995, the actor starred in seven Punjabi films most of which fared decently at the box office. The following year, the actor added another feather to his already illuminating career cap as he made his debut in a Hindi film titled Smuggler. The film featuring an ensemble cast including Dharmendra, Ayub Khan, Amrish Puri, Reena Roy and Kareena Grover was directed by Ajay Kashyap. After his maiden Bollywood film, the actor went back to working in Pujabi films and on the back of a slew of brilliant performances he established himself as one of the most accomplished actors in the Punjabi film industry. Guggu along with Yograj Singh came to be known as the incredible stars of the 1990’s and the duo continued to rule the roost for more than a decade. By the start of the new decade in the new millennium, Guggu Gill had already become a veteran star and he proved why he is one of the best actors in the Punjabi industry with yet another stellar performance in the 2010 film, Jawani Zindabad. 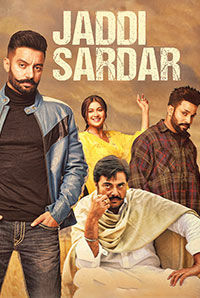 The film directed by Harinder Gill feature Raj Brar, Harinder Gill, Jarnail-Chak Majipur and Jagtar Singh in the lead roles. With no major hits to his name over the next few years, the actor came into limelight once again with the super hit film Aa Gaye Munde U.K. De (2014) starring Jimmy Shergill, Neeru Bajwa, Gurpreet Ghuggi, Om Puri and Binnu Dhillon. The actor followed his success in 2014 with two more hit films in 2015 titled Dildariyaan and Shareek. His 2017 release includes Sardar Saab directed by Amit Prasher and starring Jackie Shroff, Sudesh Berry, Neetu Singh and Daljeet Kalsi.